Anti-fracking protesters in front of City Hall. In recent weeks, Gov. Cuomo has written eloquently in these pages about the need, in the wake of superstorm Sandy, to respond to the danger of climate change. And one of the ways to answer the challenge of a warming planet, some say, is to embrace hydrofracking — the process of drilling deep underground for natural gas. Natural gas burns cleaner than other forms of fuel, the logic goes, releasing less atmosphere-warming CO2. So it’s portrayed as a win-win: cheaper, plentiful energy that happens to hurt the planet less than other fossil fuels. The fracking cheerleaders are misinformed. Drilling for natural gas has some disastrous environmental consequences. It will speed climate change, not help stave it off. The methane that is inevitably emitted from natural gas wells and pipelines is more than 100 times more powerful than CO2 as a greenhouse gas during the first two decades after emission. Not only are the supposed global warming benefits of hydrofracking nonexistent, but those whose chief environmental concern is climate change must acknowledge that the technology is about as harmful as they come. Elected leaders who recognize the threat of climate change need to do more than simply build the infrastructure to protect against rising tides. They need to also ensure that we reverse it, rather than exacerbating the problem. The State University of New York at Buffalo announced Monday that it was closing down its newly formed Shale Resources and Society Institute, which was devoted to the study of hydraulic fracturing, citing “a cloud of uncertainty over its work. Buffalo’s decision is the most extreme response to date over criticism of academic bias in research related to the controversial natural gas drilling process commonly known as hydrofracking, or fracking. The University of Texas at Austin is conducting a similar review of a university fracking study released earlier this year. One of the professors who fostered the study did not disclose that he was on the board of a gasoline company.The institute’s first study, released in May, drew sharp criticism for being biased in favor of the oil and gas industry. In a letter addressed to the “university community,” President Satish K. Tripathi said he was closing the institute after an internal assessment that determined that it lacked “sufficient” faculty presence, that it was not consistent enough in disclosing its financial interests and that the credibility of its research was compromised because of questions over its financing. “It is imperative that our faculty members adhere to rigorous standards of academic integrity, intellectual honesty, transparency and the highest ethical conduct in their work,” Mr. Tripathi wrote. In an 11th-hour comment filed with federal regulators, the state Department of Environmental Conservation has called for an assessment of “cumulative environmental impacts” from potential shale gas drilling operations along the route of the proposed Constitution Pipeline. The official cutoff date for environmentally-related “scoping” comments on the $750 million pipeline project was Friday. However, officials have said the Federal Energy Regulatory Commission will continue to accept subsequent letters it receives regarding the natural gas transmission system. The comment from DEC was sent Wednesday on behalf of the agency by one of its lawyers, Patricia Desnoyers. Desnoyers went on to note that the planned pipeline route — running from Susquehanna County, Pa., to the town of Wright in Schoharie County — “has the potential for development of natural gas extraction” from both the Marcellus and Utica formations. One of the organizers of the grassroots group that has formed to fight the project, Anne Marie Garti of East Meredith, said the DEC comment has “huge” implications. “They have demanded a cumulative impact statement that incorporates a whole buildout of hyrdrofracking throughout this area,” said Garti, a law school student who pressed FERC for the very type of analysis that the DEC now wants the federal agency to conduct. Fracking for gas not only uses toxic chemicals that can contaminate drinking and groundwater -- it also releases substantial quantities of radioactive poison from the ground that will remain hot and deadly for thousands of years. Issuing a report yesterday exposing major radioactive impacts of hydraulic fracturing­known as fracking -- was Grassroots Environmental Education, an organization in New York, where extensive fracking is proposed. But also released, notes the report, is radioactive material in the shale­including Radium-226 with a half-life of 1,600 years. A half-life is how long it takes for a radioactive substance to lose half its radiation. It is multiplied by between 10 and 20 to determine the “hazardous lifetime” of a radioactive material, how long it takes for it to lose its radioactivity. Thus Radium-226 remains radioactive for between 16,000 and 32,000 years. Keith Srakocic/Associated PressHydraulic fracturing, or fracking, in 2002 in Claysville, Pa., at a Range Resources drilling site in the Marcellus Shale, a formation rich in natural gas. PHILADELPHIA — Pennsylvania officials reported incomplete test results that omitted data on some toxic metals that were found in drinking water taken from a private well near a natural gas drilling site, according to legal documents released this week. The documents were part of a lawsuit claiming that natural gas extraction through a method known as hydraulic fracturing, or fracking, and storage of the resulting wastewater at a site in southwestern Pennsylvania has contaminated drinking water and sickened seven plaintiffs who live nearby. In a deposition, a scientist for the Pennsylvania Department of Environmental Protection testified that her laboratory tested for a range of metals but reported results for only some of them because the department’s oil and gas division had not requested results from the full range of tests. The scientist, Taru Upadhyay, the technical director of the department’s Bureau of Laboratories, said the metals found in the water sample but not reported to either the oil and gas division or to the homeowner who requested the tests, included copper, nickel, zinc and titanium, all of which may damage the health of people exposed to them, according to the federal Agency for Toxic Substances and Disease Registry. Ms. Upadhyay said that the bureau did not arbitrarily decide to withhold those results. “It was not requested by our client for that particular test, so we did — it is not on our final report,” she said in a deposition on Sept. 26. Another state environmental official, John Carson, a water quality specialist, testified in a separate deposition that he had received no training in what metals are found in the fluid used in fracking. Critics say that fracking contaminates public water supplies. 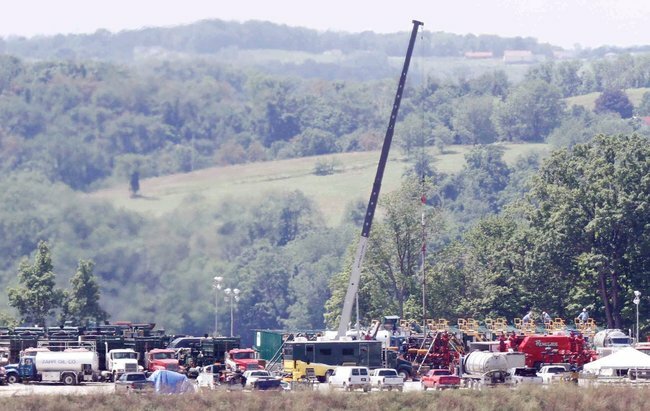 The defendants include Range Resources, a leading developer of natural gas in Pennsylvania, and 16 other companies serving the gas industry. 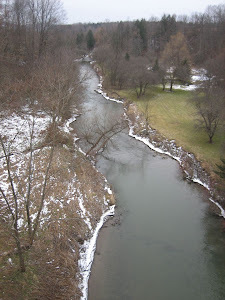 Kendra Smith, a lawyer for Loren Kiskadden, whose water was tested by the Environmental Protection Department, contended that the department purposely avoided reporting the full results of its tests of Mr. Kiskadden’s water in June 2011 and January 2012, after using a method established by the federal Environmental Protection Agency known as 200.7. The method tests for 24 metals, only eight of which were reported, Ms. Smith said.